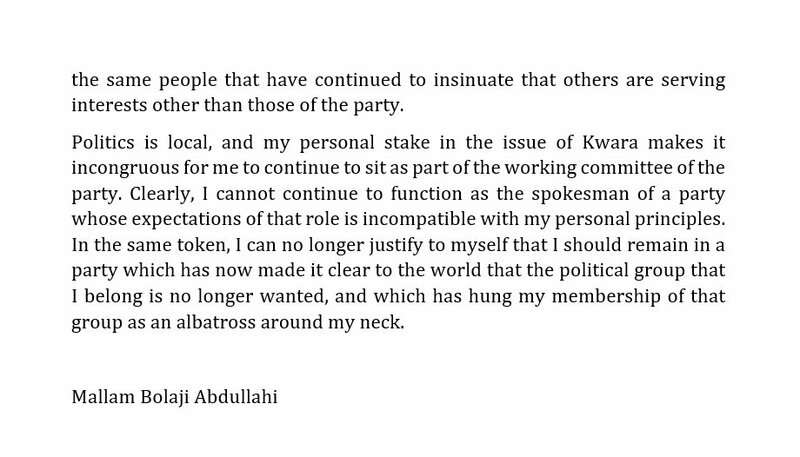 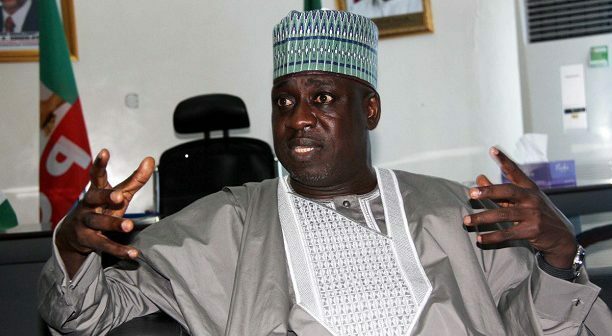 The National Publicity Secretary of the All Progressives Congress, Mallam Bolaji Abdullahi has tendered his resignation to the party leadership. 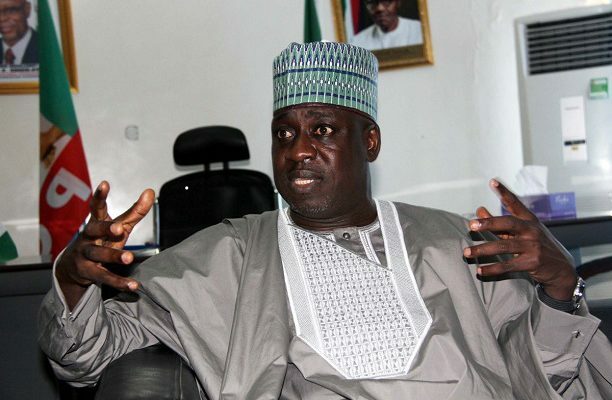 He made his resignation public in a statement he issued in Abuja, on Wednesday. 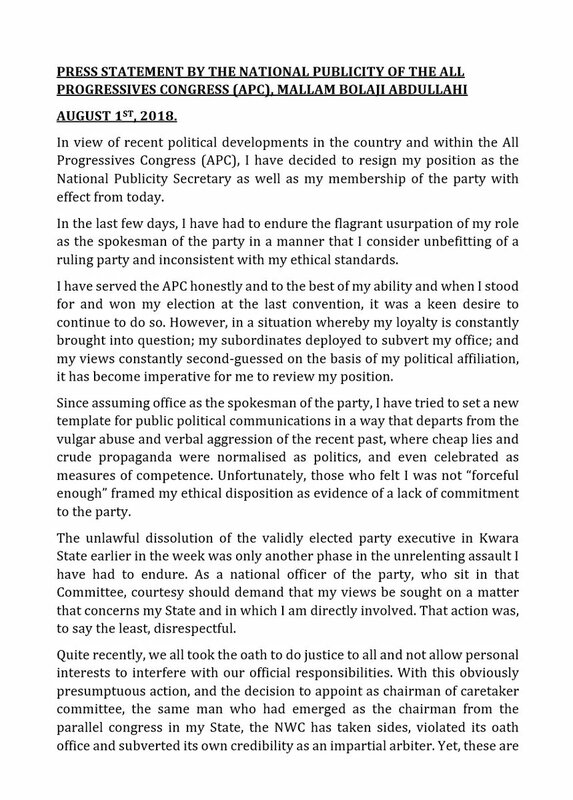 He wrote in part: “I have served the APC honestly and to the best of my ability and when I stood for and won my election at the last convention, it was a keen desire to continue to do so.